What Does It Mean To Hire a Law Firm to Help with Business Disputes? Unfortunately for many business leaders, there often comes a time when they are no longer able to resolve a dispute with a third-party, whether that third-party is a customer, contractor, partner, vendor, landlord or other party, whether a contract exists or not. Engaging a law firm is often the last step, when all other efforts at resolving the dispute have failed. Going to court is very expensive – often $30,000 or more – so it pays to write an effective demand letter and convince the other party to negotiate in good faith without going to court. The general process to resolve a business dispute is as follows: (1) Succinctly and clearly spell out the nature of the dispute and the requirements necessary to resolve the dispute, (2) negotiate a settlement and agreement, and (3) if settlement fails, go to court if you have a legitimate cause of action and can prove your side of the facts (with a preponderance of the evidence). The first step requires research and work, to evaluate the documents, information and evidence to generate a demand letter (or cease and desist letter) that is supported in law (and/or contract, if applicable). If there are options available for resolving the dispute, those options should be clearly spelled out in the demand letter. The second step oftentimes takes patience and compromise, but in the end, requires an agreement between the disputing parties on the resolution and often a “waiver and release” from future legal action. This second step is very important, because if you fail at reaching a compromise and negotiated settlement, your only other option is a lawsuit (unless other forms of dispute resolution are available, such as mediation or arbitration). Almost always, you will be better served resolving a dispute yourself without getting lawyers involved. A lawsuit is generally very expensive, and it’s routine to see a very basic lawsuit cost from $30,000 to $50,000, with more complex litigation running into the 6- and 7-figure range (yes, 7-figures). 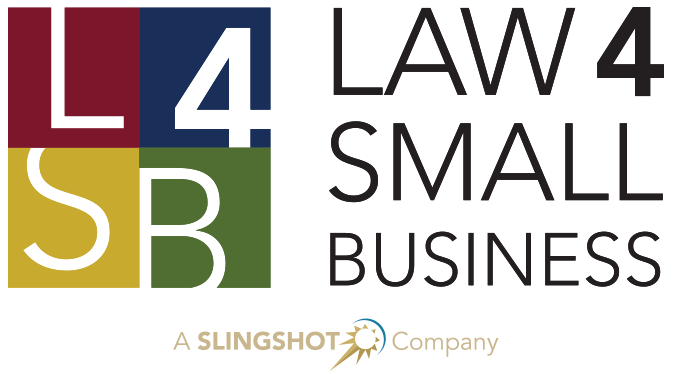 Why Use L4SB to Help Resolve Your Business Disputes? Flat-Rate Fee for Demand Letter/Cease and Desist Letter Only. For our flat-rate fee product, the flat-fee only covers up to the generation of the relevant documents. Our letters do not guarantee the dispute will be resolved. If additional effort is required, our ongoing involvement would be billed on an hourly basis. No Refunds. Once you engage us for this service, we perform a number of activities on your behalf and expend quite a bit of time reviewing documents and information, preparing the letter and answering your questions. Therefore, we will not refund the flat-rate fee for a dispute resolution, even if you ultimately decide not to have a demand or cease and desist letter delivered. No Guarantee of Results. We cannot guarantee or even promise any level of success once a demand letter (or cease and desist letter) is sent to the other party. Anything can happen, from the other party simply ignoring the letter to hiring an attorney to counter-claim a demand against you. Anything is possible, and we cannot promise or predict results. Will L4SB conduct dispute resolution on contingency? I can't resolve a dispute. Is my only option an expensive lawsuit? No. You can try a demand letter (or cease and desist letter) from an attorney or law firm. You can also look at the contract, if one exists, to see if there are other dispute resolution options available to the parties, such as mediation or arbitration. Also, depending on the nature of the dispute, there may be other dispute resolution options available for you. For example, in certain forms of labor disputes, the EEOC provides for mediation. When should I hire L4SB to help me resolve a dispute? Only after (1) you have attempted to resolve the dispute yourself, (2) you have exhausted all options available to you (short of violence, harmful, tortuous or illegal acts), and (3) you no longer care about preserving the relationship with the other party. The third item is important: No one likes receiving a legal demand (or cease and desist) letter from an attorney or law firm, and you will forever and irrevocably ruin the relationship. Small business owners should think twice before getting a lawyer involved with its important customers, vendors or partners. Hire L4SB to Help Resolve Your Dispute Now!